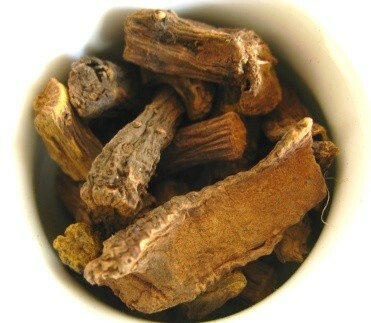 Burdock tea is a detoxifying herbal tea, ideal to cleanse the body of harmful toxins. If you go for a walk in a field you are likely to come across this herb and find that its clinging seeds heads have easily become attached to your clothes. Burdock has a nutritious root that once infused results in a nutritious and healing tea that has long had a reputation for its ability to speed up treatments and prevent future illness. So come and learn more about this detox tea! Burdock, arctium lappa in Latin, is a biennial thistle, a flowering plant native to Europe and Asia, although it is now produced around the world for its seeds, leaves and especially roots. This herb may be found under many common names, such as bardana, begger's buttons, burrs, cocklebur, fox's clote, hardock, hareburr, poor man's potatoes, thorny burr, and turkey burrseed among many others. Burdock is a coarse biennial herb with bristly burrs that are known for sticking to your clothes. It grows easily in the garden, some species reaching a height of 2 meters, and is considered by many a weed. It has long and large dark green crinkled leaves (up to 70cm long) in rosette form. Burdock flowers are purple globular thistles, and have sticky burrs that cling to everything, having inspired the creation of Velcro. Its roots, one of the most important parts of the plant for medicinal purposes, are long (about 60cm to 90cm), and slender. The roots are brown with white spongy flesh on the inside. These are best harvested in the late summer. Burdock has long been a part of traditional medicine. In Chinese medicine it was particularly important as a method to treat impotence both in men and women, functioning as an aphrodisiac. In India it was valued for its tumor-fighting abilities. It was used in amulets as a form of protection against evil and negative energies. While this plant is native to Europe, in America it only began growing after being brought over by the first European settlers. In the 20th century the Swiss engineer George de Mestral was inspired by the way burrs would keep sticking to the fur of his dog when they went for walks. The engineer would go on to invent Velcro based on this herb. Today burdock still plays a role in terms of herbal remedies. Many value its detoxifying and diuretic actions when drinking tea. It is still considered both a healing and preventive medicinal plant. In some countries this plant is used in cuisines and is considered a great vegetable. In Japan, China and Hawaii, burdock is a culinary herb, using leaves in salads and the root in many stews, soups and other dishes for its nutritious value. It has found its way into the cosmetic and hygiene world in the form of shampoos to prevent hair loss or lotions to heal skin wounds and insect bites. A cup of burdock tea is a source of rich nutrients and essential elements that help improve your well-being. This herbal tea contains a high amount of fiber, protein, inulin, tannins, essential fatty acids, flavonoids, mucilage as well as other elements. The root contains the highest concentration of components such as calcium, chromium, copper, iron, magnesium, manganese, phosphorus, potassium, silicon, sodium, sulfur, zinc, thiamine, as well as vitamins A, B-complex, B1, B2, B3, B6, B12, C and E. These elements combined provide for a number of health benefits. One of the most important health benefits of burdock tea is its ability to cleanse the body. This powerful detox tea may help to remove toxins from the blood stream, thus controlling blood sugar levels and preventing inflammations. Due to its iron content, it also nourishes the blood possibly preventing anemia. Its important diuretic action makes this tea a great way to reduce water retention. 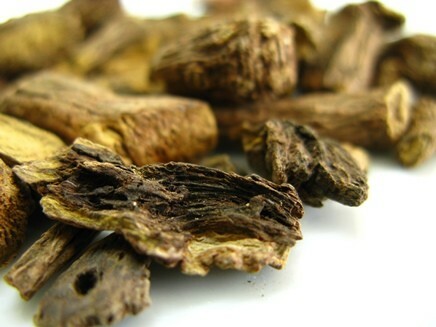 Burdock tea may also help to clear away uric acid and harmful or poisonous wastes. This herbal tea helps to restore the liver and gall bladder as well as stimulate them, to function properly and bring balance. 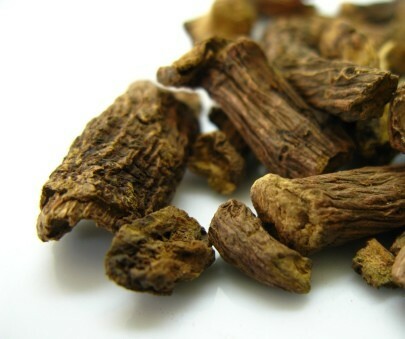 It may promote recovery from hepatitis, jaundice and diseases affecting also the spleen and pancreas. 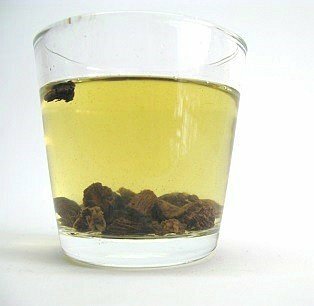 By promoting a healthy liver, burdock tea is useful to help treat stagnant blood conditions, purifying the blood and revitalizing the body, thus promoting a healthier life. Drinking this tea, may help to reduce swelling and stabilize glands, such as the hypothalamus, the pituitary, lymph and sebaceous glands. At the same this, this tea may nourish these glands bring you back to health much quicker. Your kidneys may benefit from the detoxifying action of burdock tea. When helping to remove toxins through the urinary system, it may also treat urinary infections, kidney disorders and provide a mild diuretic action while flushing out harmful agents. Burdock tea may also be used as an aid for people with diabetes, as it helps to regulate sugar levels by preventing the absorptions of harmful sugars. It contains fibers that help decrease the intake of sugars and toxins from food. It contains a high concentration of inulin, a helpful substance that is good for people with either diabetes or hypoglycemia, because it provides healthy necessary sugars without increasing insulin rapidly. Talk to your doctor about this tea to make sure it is safe for your case and make the necessary changes to your diet and medication. Your doctor may wish to monitor your progress as you drink this tea. As a detox tea, burdock helps to eliminate toxins from your body that cause joint swelling and inflammation. Drinking this herbal tea may be a way of fighting rheumatism, arthritis and gout. It may also offer pain relief. Burdock tea may also help break down calcification in the joints and knuckles that cause pain and hinder your movements. It may also be a good remedy for fibromyalgia, lumbago and sciatica, helping to soothe pain and reduce inflammation. Burdock tea is said to improve digestion and stimulate your appetite. So it may be a good tea to drink when you are recovering from illness and have difficulty eating. It relieves stomach pains and speeds up the digestive process, allowing for better absorption of nutrients and faster elimination of wastes. It is a great tea to strengthen and soothe your digestive system, protecting it against disease and promoting a healthy level of bile secretion. Drinking burdock root tea may help with constipation as it has a laxative effect, clearing out any bacteria or fungi causing you intestinal disorders. Just remember to stay well hydrated when you are recovering from these issues and do not exceed the recommended daily dosage. This tea may also prove helpful for those who suffer from Crohn's disease or diverticulitis and need a cleansing tea to help with the treatment of these ailments. This herbal tea may be used when you are suffering from general weakness and need to give your immune system a boost in order to better recover and fight illness. Its antifungal, anti-inflammatory and antibacterial actions may prove to be very helpful. 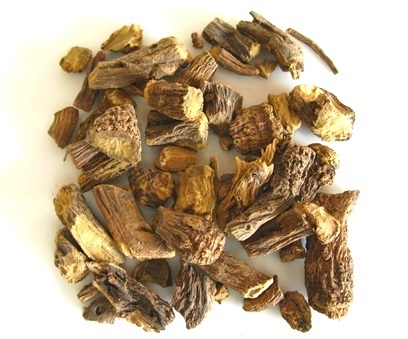 Burdock tea may be taken to treat bronchial coughs and other respiratory irritations. If you have a cold or the flu, this tea may bring down a fever by making you sweat away the toxins that are the source of the sickness, or treat the symptoms of a painful sore throat. Besides building your defenses against illness, it may also strengthen your respiratory tract, reducing occurrence of allergies or asthma attacks. With the approval of your child's pediatrician you may use give this tea to stimulate the immune system of your child. This cleansing tea provides positive and healing changes. It may be considered a tonic for the nerves, energizing and revitalizing the mind and body while keeping your nerves in check. This restorative herbal tea helps to alleviate stress related with Chronic Fatigue Syndrome, allowing you to deal better with difficulty situations soothing and nourishing nerves. Burdock tea is ideal for both men and women. Its toning action on the liver provides the healthy hormonal balance that is needed by the reproductive organs of both sexes. Women may drink this tea to help relieve painful menstrual cramps and soothing the symptoms of PMS. Burdock infusions may be a good way to help regulate the menstrual cycle by stimulating the uterine function. Drinking this tea may also soothe the symptoms of menopause by aiding your liver to properly provide the hormonal stability you need as well as nourishing the nerves in need when you may be suffering from such things as night sweats or mood swings. This tea also has the reputation of increasing the production of breast milk; however, breastfeeding mothers are advised to talk to their doctor before resorting to herbal supplements such as this one. Burdock is known for being an ingredient in the cancer fighting Essiac tea, an herbal blend with the reputation of being a complementary treatment for cancer. There is however little evidence to support the claims that burdock could treat cancer. What seems to have been identified in burdock tea is the ability to suppress the growth and multiplication of tumors through the presence of antioxidants. It seems to act at the cellular level, preventing the mutation of cells that could lead to cancer. If you do intend to use this herbal tea as a complementary treatment, talk to your doctor first. Burdock tea may be applied topically to treat a number of skin conditions. It is said to help treat eczema, moles, psoriasis, cold sores, contact dermatitis, boils, abscesses among other skin disorders. It may speed up healing time for burns, cuts and wounds as well as promote skin cleaning treating and preventing skin eruptions such as acne. Its cooling action may provide relief for irritating rashes and it may also speed up tissue regeneration. A burdock infusion may also be used to help treat insect bites or heal the skin afflicted by poison ivy or oak. It may also provide relief for fungal infections such as athlete's foot. This herbal tea helps to stimulate the sweat glands that allow the skin to function as a way to remove toxins from the body. Apply this tea as a poultice to treat skin eruptions or lesions caused by chickenpox or the measles. Burdock will help your body to expel the infectious elements as well as make healing and recovery a faster process. Using burdock herbal tea as a rinse for your hair may help to treat scalp conditions and promote hair growth and clear up dandruff. It is said to bring blood flow to the scalp and strengthen the hair follicles. Would you like try burdock tea now? As burdock tea has a powerful diuretic and detoxifying action, you should be aware of some possible side effects from drinking this tea. Burdock tea is considered safe, however it should be used for a short period of time and you should drink at most 2 to 3 cups per day. Taking this herb for a prolonged period of time may cause urinary tract irritation and toxicity in some people. When used alone, burdock tea may be too strong for some people. Its cleansing diuretic action may work too rapidly and cause dangerous imbalances such as slow heart rate or extreme changes in sugar levels. You should start with a small amount or blend it with other herbs. When using this tea externally, make sure to test it on a small portion of your skin first. If you are allergic to herbs like marigolds, daisies or ragweed, there is a good chance that burdock may cause skin or eye irritation and dermatitis. Due to the diuretic action of burdock tea, it may be unsafe if you are on medication for diabetes as it can lower blood sugar to dangerous levels. And if you are feeling severely dehydrated, it is best not to take this tea as its diuretic properties will only make the situation worse. If you are taking anti-inflammatory medication, lithium therapy or any other form of diuretic pill, drinking this herbal tea could enhance the effects of these medications in unpredictable ways. Children should not drink this tea without medical supervision as it is considered a powerful herb and their progress should be monitored closely. If you are pregnant, it is best not to drink this tea and search an alternative solution. Burdock tea is a uterine stimulant and therefore may be harmful during this stage. It should also be avoided during breastfeeding as it hinders iron absorption. If you are suffering from chronic diarrhea, avoid drinking this tea as it stimulates the digestive organs and has a mild laxative action. If your doctor does recommend this tea, then start with a low dosage and see how your situation progresses. Do not pick this herb in the wild to make tea. It resembles belladonna or deadly nightshade and could easily become contaminated by it, causing your mouth to become dry and altering your heart rate. Be very careful! You will find that brewing this tea is quite easy and soon you are going to be able to reap the benefits of this herb. There may be more than one way to make this tea, so take the following instructions as a suggestion and follow the recommendation given by your doctor or nutritionist. Now, it's time to learn how to make burdock tea. This tea may be made using fresh or dried root, seeds, leaves or flowers. 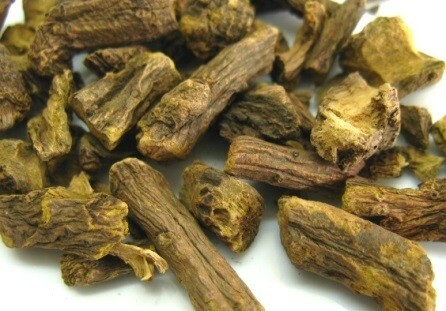 Fresh root is considered better for making this tea than dried root. Bring about 2 cups of water (or 500ml) to a boil. You can use either fresh or dried burdock. When using fresh burdock, use about 1 tablespoon for 500ml of water, when using dried burdock, use 1 to 2 teaspoons of herb for the same amount of water. Note: Some recipes may recommend higher amounts of burdock, but make sure not to use more than 1/4 cup of herb per cup of water. Pour the boiling water over the herb and then let it rest for about 5 to 10 minutes. Strain and drink 2 to 3 cups a day at most. This is a tea with a soothing and pleasant flavor. The smell may be rather strong and some consider the taste to be sweet and crisp, but you may add a bit of honey or lemon juice to improve the flavor if it is still not to your liking. If you are using fresh burdock root to make your tea, it should be firm and make sure to properly clean the root when using it. Once sliced, it should be stored in the refrigerator and used as soon as possible. The white flesh of the root will begin to discolor as soon as you peel it. For skin conditions, consider blending burdock with yellow dock and sarsaparilla. For kidney stones, you may blend burdock with catnip to create a natural remedy that helps to remove the stones. Allow your tea to cool down when using it externally, then use a nice clean face cloth and gently apply it to your skin. Remember to rinse with cool water afterwards. Buy Your Burdock Tea Today! Click on the image or on the link below to purchase from Starwest Botanicals your Organic Burdock. 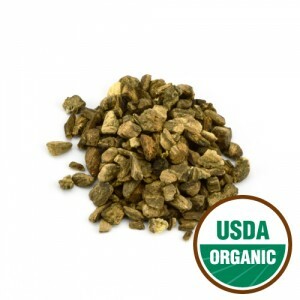 Make a cup of detox tea using organic burdock root. Using cut & sifted root, or powdered burdock root. Either way, you can quickly brew up a healing cup of tea. Buy your Burdock tea now! Burdock tea may be your ideal detox tea, so give it a try and improve your health and prevent illness. Cleanse with this wonderful tea!